You know those actors who you have seen on dozens of popular shows spanning decades, but you don’t know their names? You probably watch them appear on screen on and think, “Oh it’s that guy from [insert popular show here] — I love that guy!" or "He was in that thing with that other guy.” There’s a term for this kind of actor, a character actor. And while you may not recognize Stephen Tobolowsky’s name at first, you would certainly know his face when he appears on Silicon Valley as Jack Barker, because he is one of the most prolific character actors in the business. Seeing him on the HBO series will only make you want to know what else Stephen Tobolowsky has been in. According to Deadline, the veteran actor is heading to Silicon Valley’s third season in a recurring role as a "formidable" CEO who will become a new obstacle in the gang’s Pied Piper power struggle. And while those of us who are already familiar with Tobolowsky’s work may immediately recognize him when Season 3 premieres on April 24, there is no way even his biggest fan could know all of his work. With 243 IMDB credits to his name, I wonder if Tobolowsky can even remember all of his work. And, his first credit dates back to 1976 — that’s 40 years in the business, people! *Honorable movie mentions include Groundhog Day, Spaceballs, Thelma & Louise, Freaky Friday, and Momento. Tobolowsky memorably played a holistic healer on the Seinfeld episode, "The Heart Attack." He played The Professor on the aptly titled That's 70's Show episode, "Laurie and the Professor." Tobolowsky appeared as Lois' boss Mr. Fisher in one episode of Malcolm in the Middle. C.J. meets with Dr. Max Milkman (Tobolowsky) who is studying mind control. Tobolowsky appeared in the Will & Grace episode, "Company." At Seder dinner, Larry thinks that Tobolowsky's character tipped his son off about where he hid the Afikomen. He played Bud Penrod on Desperate Housewives . His Glee character, Sandy, would approve. On Entourage , he appeared as the Mayor of Beverly Hills. He played a principal on the Old Christine episode, "Hair." He again played a supermarket boss, Bill Fantastimart, in an episode of The Sarah Silverman Program. According to Vulture, Stephen Tobolowsky guest-starred on Community — as a professor obsessed with Who's The Boss — just weeks after undergoing open heart surgery. He played Thomas Edison in an episode of Another Period. Tobolowsky played Ramona and Jackson's teacher on Fuller House. On Deadwood, he was a recurring character, Commissioner Jarry. He played Bob Bishop on Heroes. Like many Deadwood actors, Tobolowsky had a recurring role on Justified as FBI Agent Jerry Barkley. He memorably played Marcy's second husband Stu on Californication. Tobolowsky currently plays Principal Ball on The Goldbergs . Tobolowsky played Mindy's boss, Marc Shulman, at Shulman & Associates. 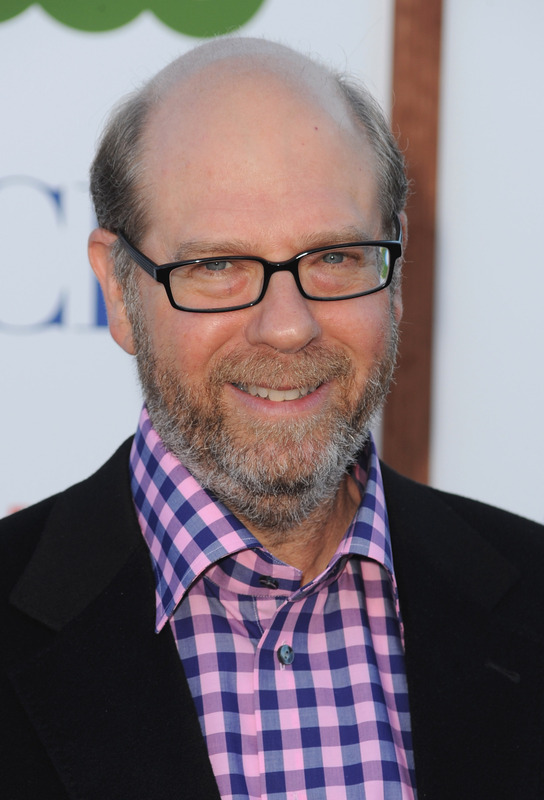 So, with more than 200 credits in 40 years, Tobolowsky may be the busiest guy in Hollywood. I can't wait to see what this veteran actor brings to Silicon Valleywhen Sunday, April 24.